Manchester United need to focus on signing a defender such as Tottenham centre-back Toby Alderweireld this summer instead of moving for Barcelona flop Philippe Coutinho, according to Danny Murphy. 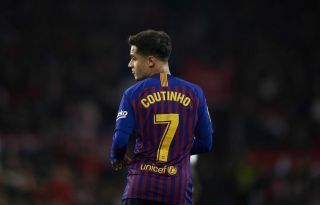 The former Liverpool star does not believe a signing of Coutinho’s type should be a priority for the Red Devils, who have looked weak at the back for some time now after relying on the likes of Chris Smalling, Phil Jones and Eric Bailly. Alderweireld could undoubtedly be an upgrade after his fine form at Tottenham, where he’s shown himself to be one of the most solid defensive players in Europe. The Daily Mirror did recently link the Belgium international with United, stating he would become available for a £26million release clause late on in the summer. It remains to be seen if MUFC will definitely act on that, but Murphy has made it clear he thinks that kind of signing would be more worthwhile than Coutinho. Murphy told the Daily Mail : “I’ll be interested to see what impact Philippe Coutinho has (against United). United can get a good look at the Brazil international when the two teams meet in the Champions League this week.